In 1986, the U.S. federal government passed the Emergency Medical Treatment and Labor Act (EMTALA). This act requires any hospital that accepts payments from Medicare to provide care to any patient who arrives in its emergency department for treatment, regardless of the patient's citizenship, legal status in the United States or ability to pay for the services. EMTALA applies to ambulance and hospital care. EMTALA was developed to combat "patient dumping," the practice of refusing to treat people who did not have the ability to pay for healthcare services. It guarantees those with insufficient means will not be turned away from emergency medical care. An estimated 98% of all US hospitals participate in Medicare so that in effect the law covers virtually all hospitals. EMTALA is contained within the Consolidated Omnibus Budget Reconciliation Act (COBRA) and falls under the auspices of CMS, the Center for Medicare Services. Medical Screening Exams: Anyone arriving at a hospital emergency department must receive medical screening examinations to determine whether they are in a medical emergency. The law also says these must be done regardless of the financial or insurance status of the patient, in order of priority based only on medical need. EMTALA has legal definitions of "emergency medical condition" and of the term "stabilized." Further, the CMS says this requirement applies to any facility that provides emergency services, not just to designated emergency rooms. If the medical screening exam finds that there is no emergency medical condition, they are not required to provide further treatment. Stabilize or Transfer: If an emergency medical condition exists, the patient's condition must be treated to stabilize it or to make a transfer to an appropriate facility. The emergency room cannot simply send a patient home with a condition that is expected to deteriorate further. The patient has to be informed of any transfers and give consent. A patient sent home in unstable condition or sent to a hospital that doesn't have the facilities to treat their condition could have legal recourse under EMTALA. Hospitals are Required to Take Transfers for Specialized Services: This addresses the practice of reverse-dumping, where hospitals with specialized units, such as a burn unit, only accept patients with the ability to pay. Under EMTALA, they must take any appropriate transfer. However, the law gives them an escape clause. They must accept the transfer if they have the capacity. If they don't have any open beds or they are already on ambulance diversion, they don't have to take a transfer. However, if they tell a hospital requesting a transfer that they are full but the patient gets sent to them anyway (dumping) they must treat the patient when he arrives. They can report the sending hospital for an EMTALA violation later. While hospitals are required to examine and treat patients under EMTALA, their services are not free. They may bill the patient and sue them for unpaid bills. They do not need to provide outpatient care after discharge, but they must refer them to clinics and programs that may provide them at a reduced cost or for free. Hospitals can't refuse to treat patients presenting under EMTALA who already owe them money. 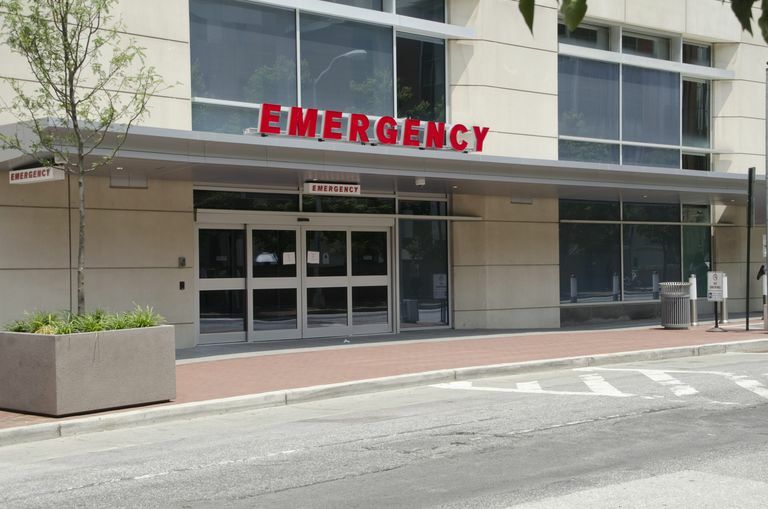 Are You Prepared for a Trip to the ER? Should You Give Your Social Security Number to Your Healthcare Provider?